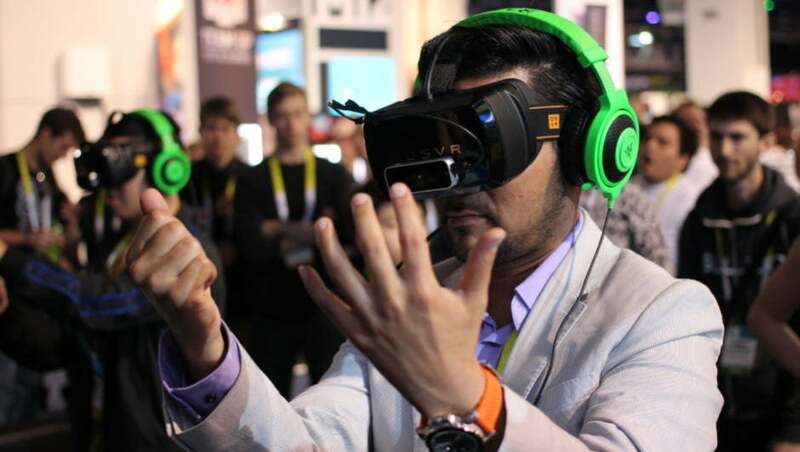 Virtual Reality Arcades Are Catching On: Are They Here To Stay? Say goodbye to impossible claw machines, skipped-over Skee Ball alleys and Dance Dance Revolution games that have been collecting dust since the 1990s. Something new is in town and it’ll gobble up your quarters faster than a laundromat. That’s right, virtual reality arcades are here, and they are providing a completely immersive experience that not only plants gamers into a brand new virtual but also brings them into a physical environment that caters to the specific needs of the new gaming medium. As VR has entered into mainstream gaming, popular consoles like the Playstation 4 and Xbox One have begun to follow suit. However, all of these strides have been restrained by the dimensions of the user’s playing environment. Most people don’t have the space to spread their VR canvas. Now people have an option for more immersive gaming. Walking, crouching and jumping are becoming integral to the VR experience rather than the all to common experience of accidentally crashing into your living room wall. VR Adventures, a VR arcade in Las Vegas, is one of the places that’s putting this into motion. At the moment, VR Adventures is offering four different games that all require physical movement aside from head-turning and control-jerking. You can try your luck at walking along a tightrope beam hundreds of feet in the air, or maybe explore a haunted house. Virtual reality arcades are also a remedy to a pressing concern—consumer cost. Most people don’t want to spend hundreds of dollars for VR. Playstation VR prices around $400 and Facebook’s Oculus Rift and Touch total at $798. This is also notwithstanding the hundreds of dollars in computer upgrades you’ll have to invest to make your CPU compatible with virtual reality. Most VR arcades at the moment aren’t providing as much the physical experience that VR Adventures provides as they are a cheaper substitute for simply buying a conventional setup for your home. Most VR arcades average around $15 to $20 per round, which makes experiencing VR much cheaper if you only want to try it once or twice as a novelty. These arcades are spreading around the US and China has seen a huge spike in demand for them. Shanghai alone has over 25 locations. As VR arcades gradually offer a more diverse and low-cost range of experiences, consumers will have to ask themselves if there’s any point at all in going to a normal arcade. One thing is clear: These run-of-the-mill arcades are going to have to keep up as VR is here to stay and grows in popularity. Jacob is a journalism and political science student at Arizona State University. He likes to learn and write about anything that isn’t cliché. His primary interests are foreign policy, solutions to global poverty, and tech innovation. He has helped lead multiple student groups on campus that have hosted a range of speakers on international issues and has acted as moderator for a couple himself. In his free time, he likes to watch movies, read weird books, and drink offensive amounts of coffee.